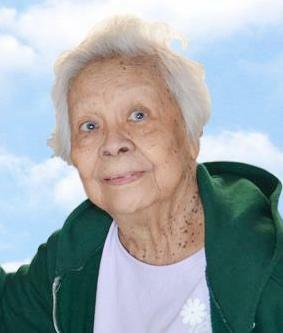 93, Passed away peacefully with family by her side at home in Pearl City, Hawaii. She was born in Honolulu, Hawaii on July 2, 1925. Formerly resided on the Island of Lana'i. Preceeded in death by son Alfred Dinong, Jr. Survived by Daughters Priscilla (Joe) Felipe, Winona (Jay) Masutani and proud son Sandy (Stella) Dinong who cared for mom to make her last few months comfortable until the Lord called her home to her final resting place. Grandmother of 12; Great Grandmother of 19 & Great Great Grandmother of 3. Much thanks to Melodie Ocol of Ohana Health Plan and to the Staff of Hospice Hawaii and mom's personal Caregiver Maryanne who also helped to make mom's last few months with the family comfortable. We will also remember what a Strong & Feisty Fighter she was throughout her life and to the very end. She will be greatly missed and fondly remembered with much love and affection by her family. Private Services to be held at a later date.